Before 2013 I had no idea the difference between essential oils, homeopathy, or scented candles! I knew that there were some good stories out there about essential oils; however, the world of information seemed immense and I didn't want to wade through it all by myself! 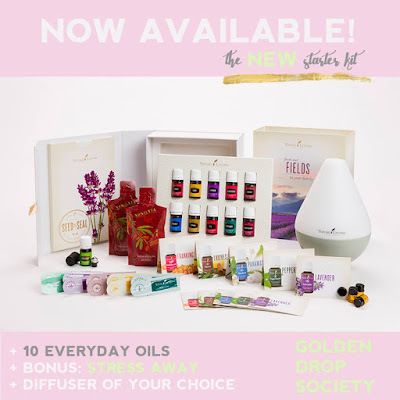 In late 2014, I went to a class with a friend to hear more about Young Living Essential Oils. I had done some research up until that point and everything I heard just clicked and I knew I was ready to get started. Later that day I was able to use my oils right away in a way that greatly impacted my daughter's health and I was hooked. I dove into research, gutted my home of so many harsh chemicals and toxins, and began to replace those harmful products with ones I was comfortable enough to let my kids use for all kinds of spraying and cleaning. Oils respect natural gut flora. Young Living oils can be used in the air, on our skin, or internally (see individual labels). I love using a drop of Thieves Vitality in my tea or Lemon Vitality in my water. These are great supports to my digestive system, AND I know that I'm supporting beneficial bacteria, unlike many other things taken internally for health purposes. They are sensory-rich, and have helped my children who struggle in the sensory processing department. This was a huge game-changer for our family! I have seen with my own eyes how my children have been aided by them during hard times. And I have also personally experienced transformation in multiple stubborn areas where I previously felt abandoned by other methods of help and healing. I would love to talk more with you about them! If you have any questions, please feel free to email me at pumpkinspantry (at) gmail (dot) com. I started my oily journey, which has now expanded to green cleaning and nutritional support, with Young Living mainly because of their Seed to Seal information. For me, this was the determining factor in my decision: knowing I'm purchasing a pure oil where the company cares about the earth and the people all over the world that farm it. Another HUGE plus of this whole oily journey has been The Golden Drop Society. Anyone who I help get started with Young Living automatically becomes a part of this amazing community of moms, pharmacists, nurses, counselors, OTs, and friends who share their knowledge with each other daily! Want more information on what all is included in this great value? Head over to the Get Started Page! Ready to take the Oily Plunge? Head over to The Golden Drop Society and follow the links through my page! *All above information is specific to Young Living essential oils only. I cannot give recommendations and suggestions on any oils but Young Living's essential oils. The statements made on this blog about Young Living Essential Oils have not been evaluated by the FDA. These products and information are not intended to diagnose, treat, cure, or prevent any disease. Anyone pregnant, nursing, or suffering from disease or injury should consult with a physician. If you are currently on medication, please do not stop. It's always good to do your own research. I have done mine for my family and we chose to incorporate YL essential oils into our lives. If you are wanting to follow and do the same, please visit here for more information. Hey Eryn! Thanks for all the great info! I look forward to when we can dive into the oils as we can afford it. For now though, I was wondering if you have read up on oils that are good for newborns. I was thinking about that as we await Samuels arrival. Hope you all had a blessed Christmas!! Amanda, I know that Gentle Babies is great for both mom and baby right after birth! It is sometimes out of stock because it is so popular. Also lavender and geranium are great all-purpose substitutes for Gentle Baby.